One of the most visible landmarks in Phoenix, this is the focal point of the 75-acre Camelback Mountain Echo Canyon Recreation Area. 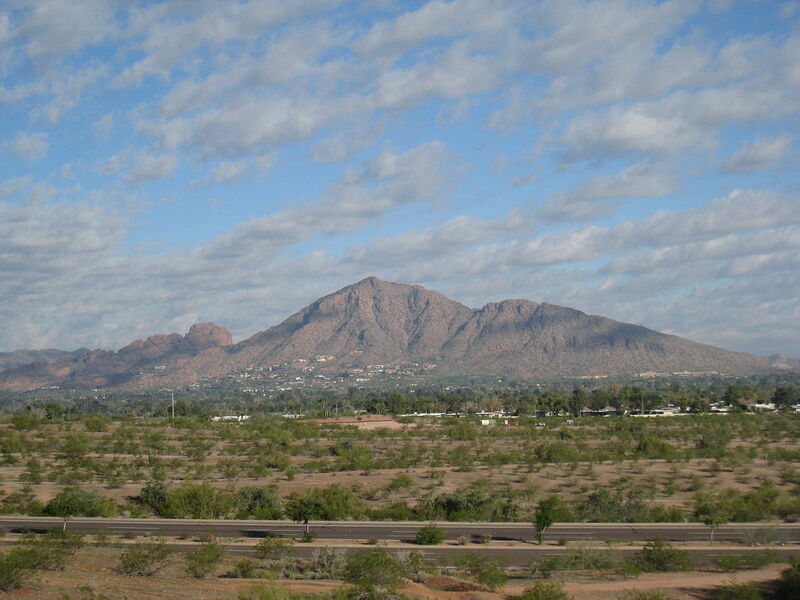 The mountain’s current name was clearly inspired by its topography, but the O’odham people called it Cew S-wegiom, which simply means “long red.” And rightly so: the shorter peak is made of red sedimentary sandstone (the higher peak’s granite). If you like a steep hike there’s two trails that lead to the summit, and The Praying Monk, a rock formation, is a popular spot for climbing. You’ll find more than 50,000 specimens here—almost a quarter of them are cacti, but there are plants of every description from arid climates around the world, including representatives of 139 threatened species. There’s five trails winding through the 140 acres of foliage, with shade-houses to protect plants (and visitors!) unaccustomed to the Arizona sun. Admission ranges from $10 to $22 depending on how old you are, but tours, workshops, concerts, rotating exhibits and dinner events get you your money’s worth. The city of Phoenix is proud to point out that Encanto Park was ranked the 10th best city park in America by Forbes in 2009. It fills up 222 acres while still being within a few blocks of the city center and features a lagoon for paddleboats and fishing, a swimming pool, a softball field, basketball and tennis courts, two golf courses, and the Enchanted Island Amusement Park. Himeji, Japan, is one of Phoenix’s ten sister cities, and Ro Ho En, the Friendship Garden, is an expression of mutual goodwill. Designed in collaboration with 50 Japanese landscape architects, the garden was carefully planned to grow oriental plants that can handle the extremes of Arizona weather. Prominent features include the tea pavilion, koi pond, 12-foot waterfall and paths adorned with lanterns and stone bridges. The garden is frequently home to yoga, meditation and Japanese cultural workshops and events. Unlike most of the heavily-curated and frequently-visited parks in this list, this is a great place to go if you just want to get away with nature. 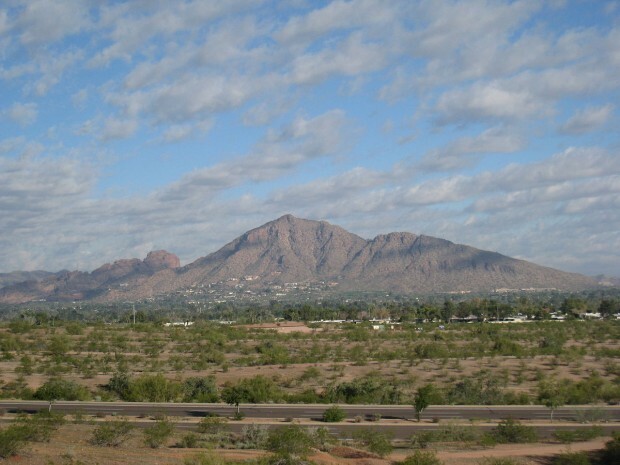 The park contains Piestewa Peak, the second highest point (after Camelback) in the Phoenix Mountains, as well as miles and miles of hiking trails, numerous picnicking areas, and plenty of desert flora and fauna. Yep, the zoo gets its own entry in the Points of Pride—because it’s that good. Travel to all the zoological gardens in the country and you won’t find a bigger one that’s both privately owned and not run for profit. It was instrumental in saving the Arabian oryx from possible extinction, and today is home to 30 species of endangered animals. In all there’s 1,400-some creatures here, including native Southwest species, the animals of Africa, rainforest denizens from around the world and an extensive petting zoo. Some websites hedge their factual bets, referring to South Mountain Park as “one of the largest,” but the official Phoenix Points of Pride website has it right: this is the world’s biggest city park. (Wikipedia’s list features some bigger ones, but those are all national parks, urban forests or shared between cities.) Surrounded by suburbs, the park is 25-and-a-half square miles of desert vegetation in 300 different species—plus coyotes, rattlesnakes, foxes and more chuckwallas than you’ll see anywhere else. Scenic roads and trails make it easy to explore on foot, horseback, mountain bike or by car, with picnicking areas and overlooks of the Gila River Valley. The oldest “barrier-free” park in the country, the Telephone Pioneers of America Park is designed for the use of the physically disabled. It features a wheelchair-accessible playground, two beep baseball fields for the visually impaired, a therapeutic heated pool, an 18-station exercise course and courts for all manner of adaptive recreation including volleyball, tennis, basketball, shuffleboard and racquetball. But that’s only a third of it—if you prefer your sightseeing indoors, the Points of Pride also includes several museums and educational sites, as well as plenty of Phoenix entertainment. I think you need to check into the Point of Pride locations before publishing article. Live across the street from Telephone Pioneers of America Park and it is not a Point of Pride any longer. The City of Phoenix states that park will be redone but in the meantime not being maintained at all. Too many transients sleep there at night and drug problems have led to restrooms being closed. Consequently there are “items” in park you do not want to see and walk past. It is sad.